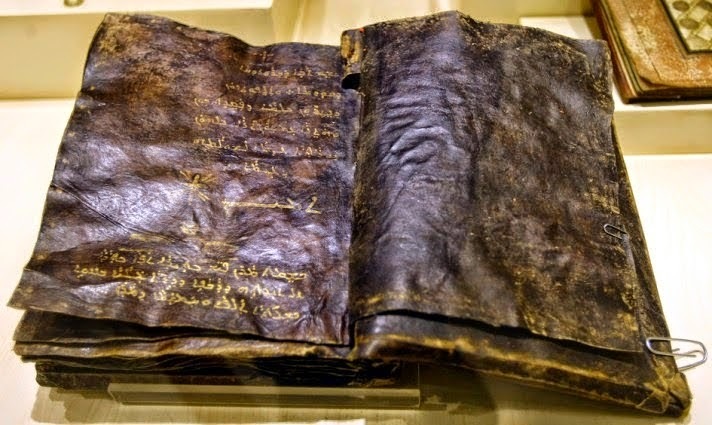 A story of a 1500-2000 year old Bible is doing the rounds on the internet in which it is claimed that Jesus was not crucified. Others claim it is a fake. Well, quite obviously it is. Found in Turkey, claims Jesus was not crucified and Paul was an imposter. The book also claims that Jesus ascended to heaven alive, and that Judas Iscariot was crucified in his place. And it says Jesus foretold the coming of Muhammad. Hmmm! Sounds like Islamic doctrine. The book may be real enough, i.e. it exists in the present, but it contains a fake story, just what the Islamic mullahs have claimed for a long time, since the 7th century. Friend, do not worry, there will always be these attacks on the truth. Remember Christ. This entry was posted in Belief in God, Islam, Trials and temptations and tagged anti-Christian, Bible, Islam, Jesus, Jesus ascended to heaven, Jesus Christ, John Hartnett, Judas Iscariot, trust in God, Turkey. Bookmark the permalink.